The Showplace Summertime Series wrapped up this past Sunday at HITS Balmoral Park after a thrilling three weeks. 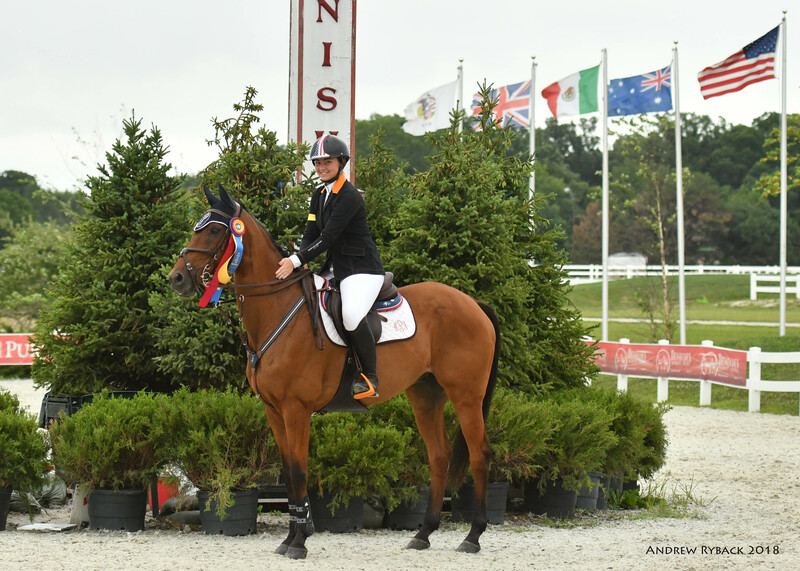 Lisa Goldman took another Grand Prix (her 6th of the season) and we were proud to again host the USHJA Children's Adult Hunter Championship and Zone Jumper Championship (Zones 5 & 6) taking place, it was a busy and exciting week in Crete, Illinois. Goldman started her success this week on Wednesday, winning the $5,000 Johnson Horse Transportation Open Welcome aboard HINDSIGHT in a jump-off time of 40.441. Less than a second behind was Shannon Hicks in second with EMIR D in a jump-off time of 41.183. Hicks also placed fifth with YPSILON in a jump-off time of 45.412. Placing both third and fourth was Alexis Trosch aboard CORTEX Z and CANTARA Z in jump-off times of 41.205 and 42.366, respectively. Emanuel Andrade and ANASTASIA DU PARK winning the $5,000 KindredBio Jumper Prix. Lisa Goldman and HIT ME VAN'T ZORGVLIET, winners of the $35,000 HITS Grand Prix. 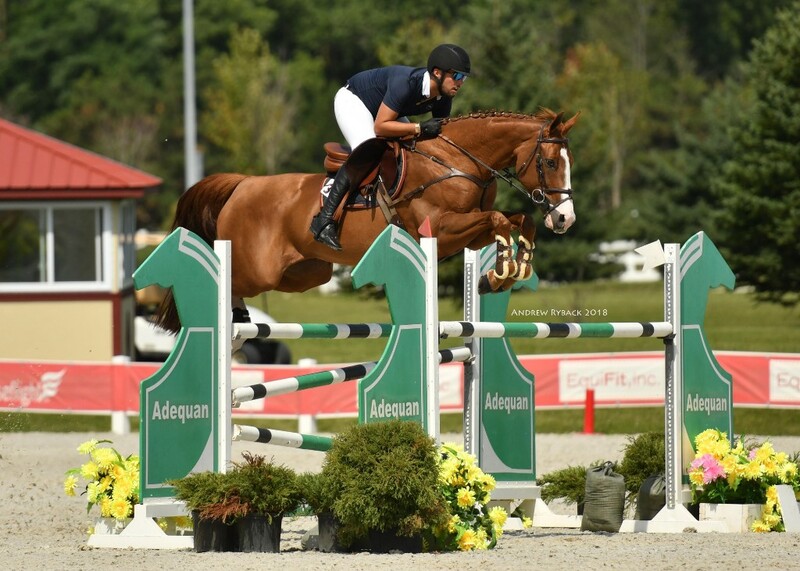 Emanuel Andrade had another successful week in the Grand Prix ring, winning the $5,000 KindredBio Jumper Prix aboard ANASTASIA DU PARK with the only double-clear round and a jump-off time of 49.480. Andrade also placed third and fifth with BOY IV and BON JOVI. Shannon Sullivan was second with her mount DOWNTOWN'S MAIN EVENT in a four-fault jump-off time of 43.72 and fourth was Sarah Dee and CLEARWATER 5. Repeat winner Goldman took the win in the $35,000 HITS Grand Prix, this time aboard HIT ME VAN'T ZORGVLIET in a jump-off time of 41.384. Andrade was second and third place with HARDROCK Z and JOLI JUMPER in jump-off times of 41.556 and 41.752, respectively. Fourth was Trosch and CANTARA Z in a jump-off time of 45.429 and rounding out the top five was Isabella Bleu Baxter and CAROQUADOS T in a four-fault jump-off time of 38.954. Laura Linback and THE FULL MONTY, winners of the $2,500 USHJA National Derby. 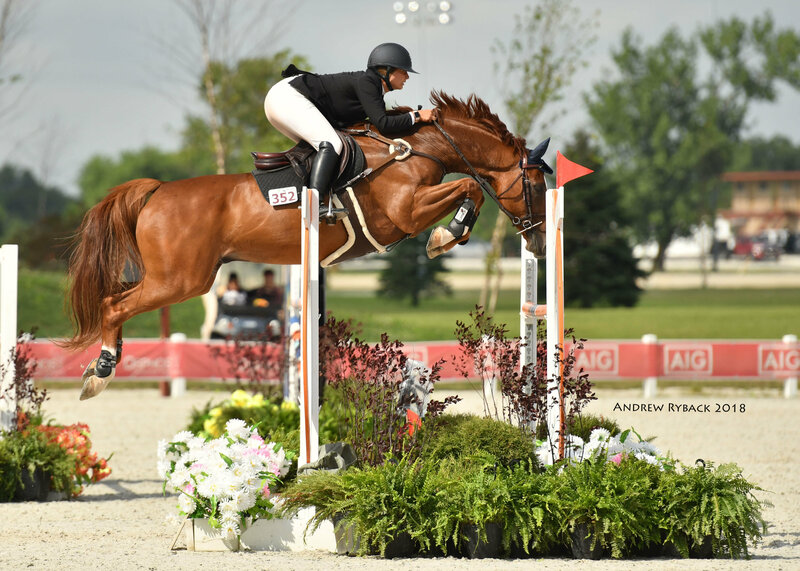 In the Hunter rings, blue ribbons fluttered in the breeze with the main event bringing spectators and riders to the $2,500 USHJA National Hunter Derby. Laura Linback came out on top in this week aboard THE FULL MONTY, taking the win with a combined score of 176. Second was awarded to Liana Brown and MARENGO with a combined score of 169. Ashley Martin was third with GOOD TIMING and a combined score of 163 and Amanda Shaw was fourth aboard INDEPENDIENTE with a combined score of 154. Madison Winebrenner took fifth with APP FOR THAT and a combined score of 153. Taking place alongside the regular horse show schedule were the USHJA Zone 5 & 6 Hunter and Jumper Championships featuring four days of Team and Individual Competition at HITS Balmoral Park. 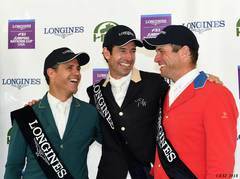 The Championships were designed to expand the Team Championship experience to a broader array of riders. 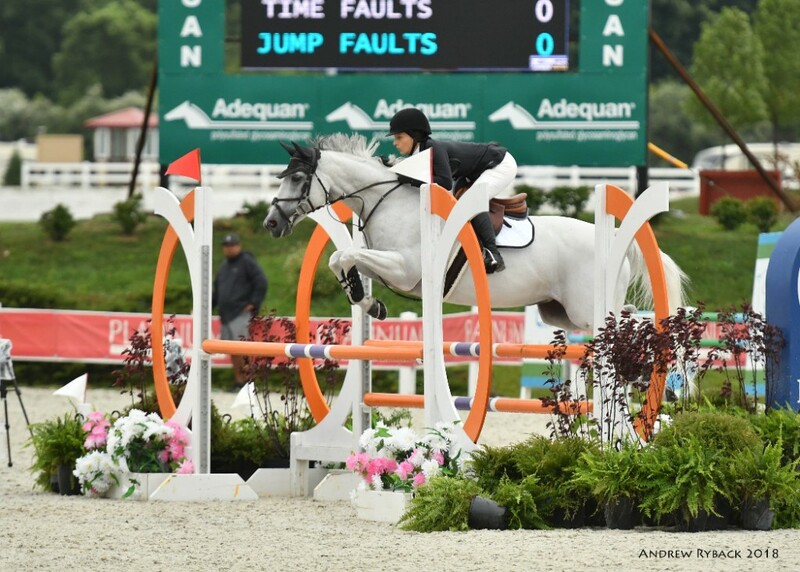 At Showplace Summertime III there were four sections of Team Competition which included, the Children and Adult 1.10m/1.15m Jumpers, the Junior and Amateur 1.20m/1.25m Jumpers, the Children's Hunter, and the Adult Amateur Hunter Sections. Within each discipline, riders would be put on a team consisting of either three or four riders. The USHJA Zone Jumper Championships kicked off with Team Competition where riders competed over a Table II, Section 1 Speed course designed by Mr. Danny Foster. The first round competition also served as the first round of the individual qualifier for that weekend. In the $1,800 Children's and Adult 1.10m/1.15m Jumper Individual Qualifier, Phoenix Cooke and SKYS BURNIN BLUE would capture first place honors in a fault-free time of 61.708. Kate Cote and KASKADA would follow in second in a time of 63.466, also without any faults. Third place was awarded to a fault-free effort by Clara Ciancuillo and SECRETIVE in a time of 67.660, followed by Edie Wetzel and ANNABELLE in fourth with a time of 68.278. Rounding out the top five was Claire Stockard and CANTURADA SECONDA DELLA CACCIA in a time of 68.751. Junior and Amateur 1.20m/1.25m riders challenged the course as well, with Anika Pirkle and JUST A DREAM riding home with a win in a fault-free time of 61.579. Second place was awarded to Ponce Tidwell, III and CADEAU DI CIEL in a time of 71.058, followed by Ashley Miles and CASSSINI DU BOY taking home third place honors in a four-fault time of 66.501. Isaiah Wiseman and NIMBUS would jump to a fourth place finish in four-fault time of 70.123. Rounding out the top five in the first day of competition was Elese Kirby and CENTOMANI in a four-fault time of 72.855. Saturday's competition served as the Team Championship and the second and third rounds of the Individual Championship. Gold, Silver, and Bronze Champions would be determined by the team with the least number of faults. Gold: Taking home the Gold medals in the Children's and Adult 1.10m/1.15m was the White Team which consisted of Henry Moberly and ELLA, Rebecca Stamm and ULTIMA AMIGO, Anne Meyer and STELLA LUNA, and Kate Cote and KASKADA. The White Team, from Zone 6, was guided by Chef d'Equipe Janine Weatherby to double clear rounds by all riders. This gave the team a score of zero faults and securing the Gold! Silver: Riding home as Silver medalists was the Pink Team from Zone 5, which included Adeline Cordin-Blitstein and VINCE, Claire Stockard and CANTURADA SECONDA DELLA CACCIA, and Edie Wetzel and ANNABELLE. Chef d'Equipe Elain Schott guided this team through the two rounds of team competition, finishing with an eight-fault score. Bronze: The Red Team would be announced as Bronze medalists in the team competition. The team from Zone 5, also guided by Chef d'Equipe Elaine Schott, included Jacob Harris and VISTO'S BESPOKE, Tyler Anderson and BLACK ICE, and Clara Ciancuillo and SECRETIVE. With 12 faults from Round 1 and 4 from Round 2, the Red Team would finish with a total of 16 faults. Gold: With a two round total of 12 faults the Baby Blue Team from Zone 5 would take home the Gold Medals. The team consisted of Natalie Schaffer and ROYAL DESCENT, Katherine Savarise and BALAVAN, Kelbee Miller and CASINO VAN DE HELLE, and Molly Struve and AURORA. The Baby Blue Team was guided to their Gold medal win, finishing with just 12 faults after their dropped score in each round, by Chef d'Equipe Elaine Schott. Silver: The Yellow Team would claim the Silver medals in the team competition with a total of 16 faults after their dropped scores in each round. Chef d'Equipe, Janine Weatherby guided the following riders from Zones 5 & 6 to their Silver medal placing; Breah Mortenson and SANVARA BLUE, Michelle Jensen and ONE TOO MANY, Emily Clemens and SYNCHRONICITY, and Anika Pirkle and JUST A DREAM. Bronze: With a total of 24 faults between their two rounds, after dropped scores, the Burgundy Team from Zone 5 would take home the Bronze medals in team competition. Led by Chef d'Equipe Elaine Schott, Elese Kiry and CENTOMANI, Ashley Miles and CASSINI DU BOY, Isaiah Wiseman and NIMBUS, and Ponce Tidwell, III and CADEAU DE CIEL would be the Bronze medal winners. The Zone 5 & 6 Jumper Championships would finish with the Individual Championships on Sunday morning. Taking home the Gold medal in the Children's and Adult 1.10m/1.15m Jumper Championship was Phoenix Cooke and SKYS BURNIN BLUE, finishing the week with four fault-free rounds. Kate Cote and KASKADA would be named the silver medalists, also with four fault-free rounds. Cote had a time of 63.466 on Day One, the slower of the two top medalist times (Cooke had a time of 61.708), in the Individual Qualifier class which secured a Silver medal finish for her. Taking home the Bronze medal in the Individual Championship was Claire Stockard and CANTURADA SECONDA DELLA CACCIA with four fault free rides and a time of 68.751 on Day One. Anika Pirkle and JUST A DREAM would be crowned the Gold medalists in the Junior and Amateur 1.20m/1.25m Jumper Championships with four fault free rounds. Taking home the silver medal was Elese Kirby and CENTOMANI with four faults over the course of the Zone Championship competition. Round out the top three and taking home the Bronze medal was Molly Struve and AURORA, finishing their week with a total of 8 faults. The hunter championships started with the combined Children's and Adult team competition which consisted of three rounds, an under saddle and two Hunter Classic style over fence rounds. In each of the three rounds, riders would earn numerical scores which would be totaled and added to the teams score. Gold: The Orange team would be victorious in the Team Championships and be crowned the Gold medalists. Making up the Orange Team were riders from Zone 6. Lydia Soucie and ZACORA CWF would earn the team 313 points with a win in the under saddle. Dr. Sharon Golden and CORDIARADO earned 408 points overall for the Orange Team, winning both of the over fence classes. Audrey Anderson and TRIPLE PLAY would score 371 points for the team, placing fourth in the under saddle, fifth in the first over fence class, and seventh in the second over fence class. Caroline Uffelmann and SILVERSTONE added 352 points and placing second in the first over fence class to be added to the Orange Teams total. After the lowest score was dropped the team would secure their Gold medal win with 1131 points. Silver: Taking home the Silver medals in team competition would be the Pink Team from Zone 5 with a team score of 1085 after the lowest score was dropped. On the Pink Team was Ashley Abbruzzi and FINESSE with a score of 337, placing seventh in the under saddle. The second team member was Olivia Barkell and SKYFALL with 345 points, placing fifth in the undersaddle and eighth in the second over fence round. Madison Winebrenner and APP FOR THAT would earn their team 378 points with a eighth place finish in the under saddle and a third in each of the over fence classes. The fourth Pink Team rider, Maria Kogen and TRUE NORTH, would earn 362 points with sixth place finishes in the under saddle and second over fence classes, as well as a seventh place finish in the first over fence class. Bronze: A team score of 1046 would land the Purple Team from Zone 5 with a Bronze medal finish. Jessica Bertaglio and CULLEN would earn the team 374 points with a third place finish in the under saddle and a second place finish in the second round over fences. Emmy Dolin and HARLEM SHAKE would capture 343 points with a fifth place finish in the second over fence round. Emma Gutstein and JUPITER would bring home another 329 points for the Purple Team placing eighth in the first over fence class. Gold: In the Children's Individual Zone Championships Emma Gutstein and JUPITER would be awarded the Gold medal with a total of 397 points. Gutstein scored a 71 in the under saddle for an eighth place finish, a 160 in the Hunter Derby round for a second place finish, and a 166 in the Handy Hunter round which would earn her a blue ribbon. Silver: Taking home the Silver medal was Madison Winebrenner and APP FOR THAT with a score of 379 between her three rounds. Winebrenner scored a 73 in the under saddle and was awarded sixth place, a 141 in the Hunter Derby round to capture a fourth place finish, and a 165 in the Handy Hunter round where she would finish second. Bronze: Olivia Barkell and SKYFALL would be name the Bronze medalist in the Children's Individual Championships, with a score of 375. Barkell earned a 84 in the under saddle which would earn her the blue ribbon, a Hunter Derby score of 150 placing her third, and a score of 141 in the Handy Round which would place her fifth. Gold: Jessica Bertaglio and CULLEN would be named the Gold medal recipients in the Adult Amateur Individual Hunter Championships with an overall score of 415. Bertaglio rode to three second place finishes with scores of 83, 161, and 171, respectively, in the under saddle, the Hunter Derby round, and the Handy Hunter round. Silver: Separated from the Gold medal winner by just one point and taking home the Silver medal was Maria Kogen and TRUE NORTH with an overall score of 414. Kogen scored a 86 in the under saddle which earned her a first place finish, a score of 153 in the Hunter Derby round would land Kogen third place position, and a 175 in the Handy Hunter would secure a first place finish in the third round of individual competition. To recap on all the USHJA Zone Hunter and Jumper Championships, please visit USHJA, Stay tuned as there are still more Zone Championships headed your way at HITS Saugerties and HITS Desert Horse Park. For more information or to apply to a Zone Championship head to the Zone Jumper Championships or the Zone Hunter Championships pages on the USHJA website! Stay up to date with all the HITS Happenings, including the Zone Championships that are coming up, by going to HitsShows.com. 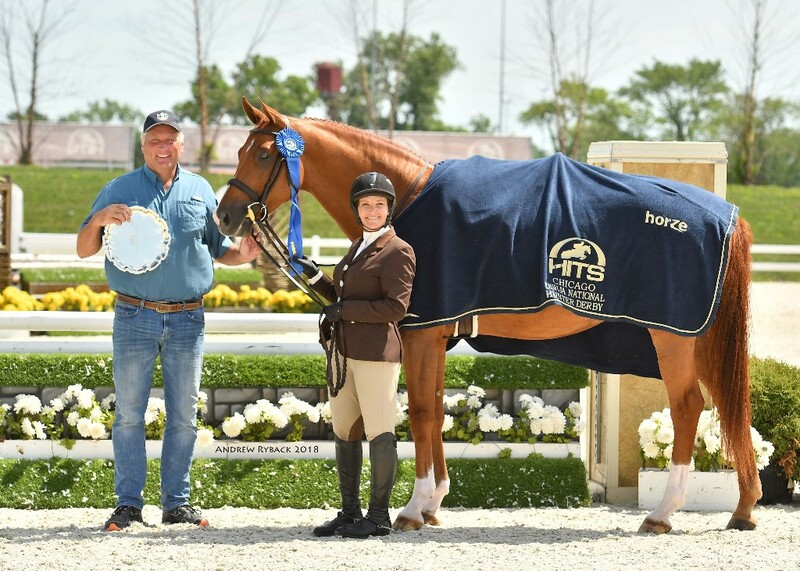 HITS Chicago will be back August 8th with the Showplace End of Summer Series featuring two weeks of USEF and FEI rated competition, including the $500,000 HITS Chicago Grand Prix CSIO FEI 5*. General admission for this event is $10 and tickets may be purchased online at hitsshows.com or at the gate. See you there!